1. 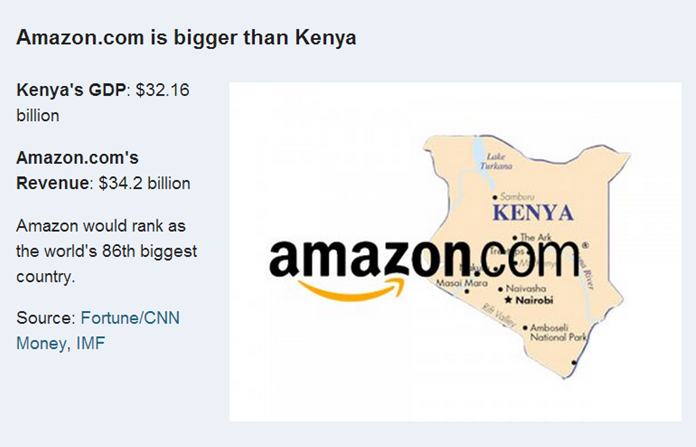 To be able to discuss the shift of power from nation state to TNCs as a result of their economic size and dominance. 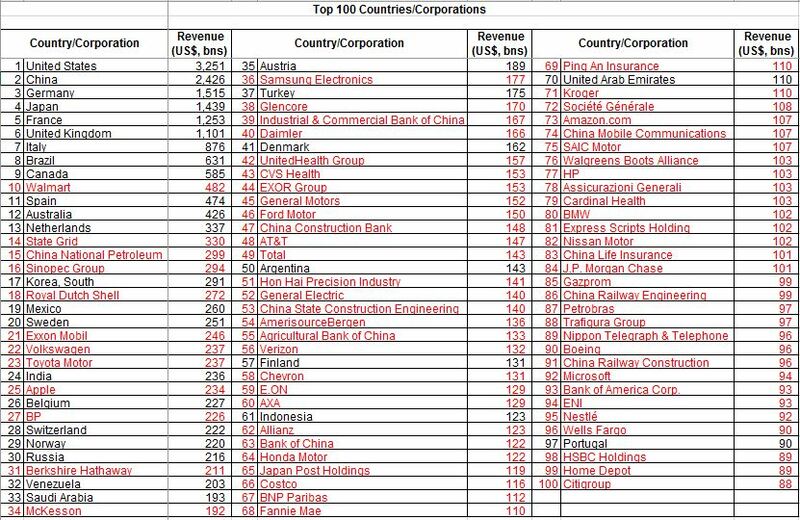 "Of the 100 largest economies in the world, 51 are corporations; only 49 are countries (based on a comparison of corporate sales and country GDP)"
On a separate Word.doc, comment on the distribution of wealth of countries compared to companies on the list using examples and your own further research. What are the dangers of making this sort of comparison? Click here to find out. Task 3 - Study the following PowerPoint presentation* carefully and complete the activities on the last slide. Sovereignty: The state of being independent and being able to make your own decisions. Globalisation has meant that many political borders are now much more porous, with goods, ideas, money and people able to travel much more freely between locations. The increased movement can bring both positive and negative impacts. Below is a table of some of these impacts. To be able discuss the links between the diminishing effectiveness of political borders and the flow of goods, capital, labour and ideas. Starter Task - Define sovereignty. Task 2 - Using the table above (take a copy for your folders too), answer the following IB question. Killer opening sentence: Globalisation has meant that many political borders are now much more porous, with goods, ideas, money and people able to travel much more freely between locations. The increased movement can bring both positive and negative impacts but can lead to a loss of sovereignty. This essay will explore to what extent this is responsible for a loss of sovereignty. Objective 2. To be able to discuss the role of one multi-governmental organization such as the European Union (EU). Task 1 - Create a timeline of the major developments in the creation of the EU from 1957 to the present day. You may use this programme to plot your timeline. The EU started life with six members (Belgium, The Netherlands, Luxembourg, France, Italy and West Germany) in 1957 when they signed the Treaty of Rome to create the European Economic Community (EEC). In 1973 the community (now the EC) extended to include Denmark, the United Kingdom and Ireland. In 1981 Greece joined and in 1986 Spain and Portugal joined. In 1993 the Maastricht Treaty created the European Union (EU) and in 1995 Austria, Finland and Sweden joined. In 2004 the EU saw its largest increase in size when Cyprus, Malta, Slovenia, Slovakia, Hungary, Latvia, Lithuania, Estonia, Poland and the Czech Republic all joined. In 2007 Romania and Bulgaria joined making 27 countries in the EU. Croatia was the new country to join in 2013. Other countries like Serbia, Macedonia and Montenegro are official candidates, while Turkey and Iceland are negotiating their status. The EU started off life with the aim of improving economic cooperation. However, it has now developed into a much bigger and more developed economic and political union. The single market, which allows the free movement of most goods, services, money and people to move freely between countries is still at the centre of the EU, but the EU now also looks at development, aid, resources, equality, democracy, transport, the environment, working regulations, etc. Membership of the EU means that some decision making is handed to the EU and its seven main institutions (there are other more specialised institutions); the European Parliament, the Council of the EU, the European Council and the European Commission, the European Central Bank, the European Court of Auditors and the Court of Justice of the EU. Decision making is sometimes known as competence in the EU - this means responsibility and autonomy. In 2007 (came into force in 2009) all EU members signed the Treaty of Lisbon. The treaty updates the Maastricht and forms a constitutional framework for the operating of the EU. Amongst other things the treaty created a new foreign minister, redistributed voting power, removed the veto on many policies and created a new European Council President. The treaty was unpopular amongst many euroskeptics who said that it handed too much power to the EU. The treaty had to be ratified by each member state (either a vote in parliament or a national referendum). Some countries like the UK and Ireland asked for opt outs in order to pass the treaty. The UK and Ireland asked for opt outs on asylum, visas and immigration. Objective: To examine the resurgence of nationalism in France as it attempts to retain control of its resources and culture. 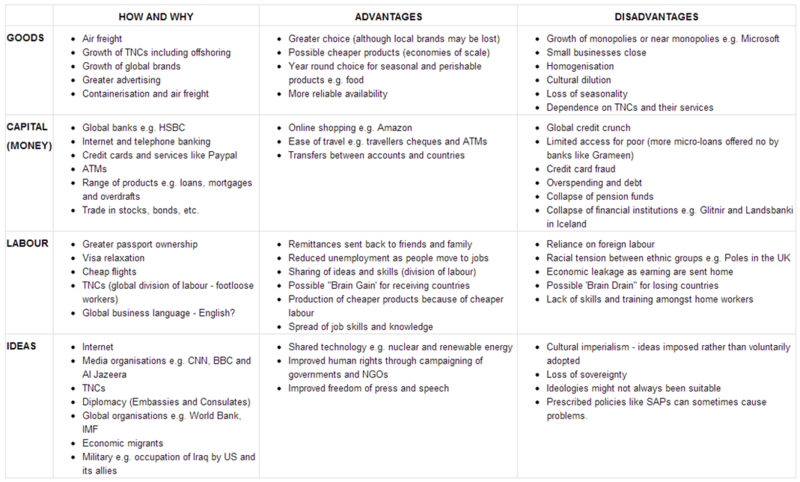 Task 1 - Define 'Nationalism' and 'Resource Nationalism' - you might want to use the IB Study Guide to help you. Task 3 - Study this brief PowerPoint and comment on the spatial patterns of FN voters in France. Then, print a copy of this factsheet. Highlight the main arguments that the Front National outline as part of their campaign for election. Task 4 - Then read this article that brings you up-to-date with events in France in 2017. Task 5 - Click here to be taken to an information page from Greenfield Geography Wiki on Secularisation in France. Take notes on the meaning of the policy and its effects more widely referring to some of the embedded web links on the right hand side of the page. Thanks to Alex for the tip off on the video above. Resurgence of nationalism is a direct response to the global recession and a loss of sovereignty. Critically evaluate this statement using one example. Objective: To be able to discuss anti-globalization movements. When? May Day (originally a pagan festival, now the day of workers and international socialism) is often a target for these protests. Why? Opponents of globalisation say it leads to exploitation of the world's poor, workers, and the environment. They say it makes it easier for rich companies to act with less accountability. They also claim that countries' individual cultures are becoming overpowered by Americanisation. 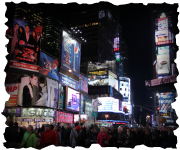 Several of the largest US brands (eg McDonald's and Starbucks) face particular opposition. Homework - Spend 40 minutes watching the excellent video - No Logo - third video down to the right. It will give you a really excellent insight into the branding tactics of major TNC's and reveal some of the secrets behind their continual progress. Remember, you are trying to understand why anti-globalization movements exist. Task 1 - In groups, create seven fact sheets each on the topics above and then write a response to the following 15 mark question using all three examples (as your three layers on the essay plan). To do this, you are going to need to create a script and follow the essay structure to narrate your answer.... into the camera! Apart from narrating your own section, as a group you will need to narrate a 'killer introduction' and conclusion. There are six sides to the Brainy Box. Side 6 - clever conclusion. You need to upload your completed videos to your school YouTube account in sections ready to embed in your Brainy Box creation. TOK - Is the anti-globalisation movement wrong?